As we are all aware, Snapchat has stepped into the fold to compete with the likes of other social media giants, including Instagram. Instagram, which was bought by Facebook, also made an offer to Evan Spiegel to buy out Snapchat for $3 Billion. However, Evan turned down the offer, clearly stating his intentions to provide competition. Many people got caught up on the fact that Evan turned down the offer, but no one took the time to analyze the effect this would have on Snapchat’s future; as to what would the counter punch from Facebook do to their market share. As a result of Evan’s decision, Instagram decided to copy Snapchat and launched the same feature on their platform. The major difference? Snapchat has around 150 million users while Instagram has 500 million users, quite a difference if you ask me. As a brand, time invested into anything equals money. Most people that use Snapchat also use Instagram. However, I see Snapchat as more of a personal platform to share private content with friends. On the other hand, people on Instagram get to interact and share their interests with brands, making it a more complete platform. So, what does this mean for marketers? They get to see and analyze how people react to products and brands. Not only this, but it also allows brands to dig deeper into their audience’s psyche and sneak a peek into their audience’s personal life, other interests, and see the similarities between them. Through Instagram stories, you should be pushing daily content that will resonate with your audience. Instagram is giving you an opportunity that no other brand in history has till date: To reveal your personality and generate a unique competitive advantage over your competitors. Take Mercedes Benz for example. 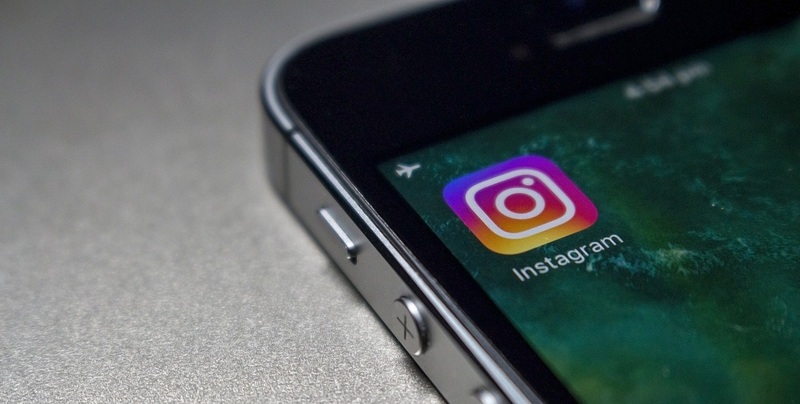 The brand increased its engagement by 500% as soon as it began using Instagram Stories. You may be wondering how, am I right? This is simply because of the exposure generated from Instagram stories. Ever since Facebook purchased instagram, the algorithm of the news feed has dramatically changed. This is because it is no longer organized by date and time of post; instead, it is done so by the level of engagement. This makes Instagram stories way more interesting. How so? When you post an Instagram story and someone opens their Instagram, the first thing they see on top of the screen is your face/logo, indicating you posted a story. If you double down on this opportunity before your competitors, you will have an immense branding advantage over your competitors. Retargeting ads are hot right now because they have turned out to be very effective. This is because they serve as a constant reminder to your audience that your product is there, waiting to be purchased. I highly recommend brands to post anywhere from 5-20 Instagram stories every day. This is because not only will the stories be seen by your followers, but they will also be seen by those who have similar interests, or are looking to buy the product you are selling. That said, people visit your account on a daily basis. If someone doesn’t feel incentivized enough to follow you for x or y reason, they might just view your story to determine whether they should or not. This glimpse of your brand could create the connection which could incentivize this user to not only follow you, but to relate to you to the point that they eventually become a customer, something which is the end goal of every brand. If your company is profitable enough, I would highly recommend you hire a graphic designer to produce fresh daily content for your stories. Remember; pictures and videos can be uploaded to Instagram. So, you can design unique content on Photoshop, or whatever design software of your preference, and upload it to your story. You would want to create unique content that will complement the personality of your brand as much as possible. Content will always be king. So, push as much of it as possible to the online medium and you will turn your company into the Instagram king in your industry. Being able to stand out on a platform with 500 million users speaks for itself: It’s all a domino effect after that! If you’re looking for some Instagram inspiration, be sure to check out @tailopez. He pushes out so much content on a daily basis and he definitely knows what he’s doing. Don’t copy; rather get inspired. Take a look at other stories as if they’re not doing it well enough, as if it could be done 10x better. Then, get out there and make it 10x better! Ramon Berrios is a multi-national serial entrepreneur based in Puerto Rico, and the cofounder. Ramon co-founded Cenas Empresariales – an initiative that inspires underprivileged youth in a strikingly difficult economy. In addition, Ramon is known for rapidly growing social media targeted followings with his digital agency Socially Rich.co . Beyond work, Ramon is centered on mindfulness, and is an avid surfer along the beaches of Dorado, PR.